Having guests coming over to your place can be quite a hustle. It is even more challenging if they will stay a few days. You see, the one thing that will be bugging your mind is just what the sleeping needs of your guests are. Some guests may be side sleepers, others may be back sleepers and so on. Some may be heavy and some may be light. It does not matter. Just get the guest rooms ready the best way you know how clean the entire house and everything else will fall into place. 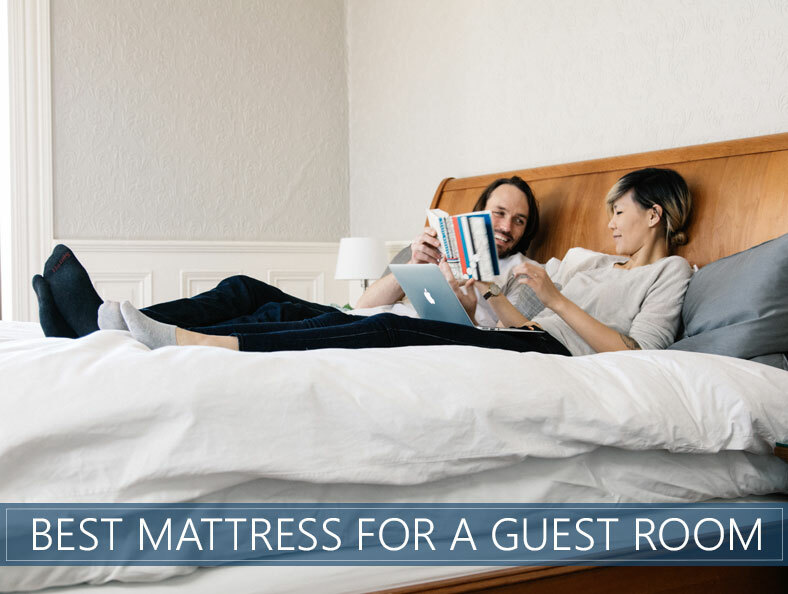 Sleeping arrangements are not the only thing that matters when you are hosting guests. You may find a cluttered house bearable, you know, some people just like clutter. However, your guests will not like it at all. That is why you need to take time off and give the whole family a deep cleaning experience. You should get your family involved if you do not want to hire professional help. This is also the time for you to invest in a few cleaning tools. Since you want your rooms to be free of all types of indoor allergens, a good steam cleaner would be perfect. It cleans by using steam, and this kills all the germs and bacteria in the house. It also helps to get rid of dust mites, dander, and mold. You should have everyone clean their rooms, even the children. You can supervise them to see that they do it well. Ideally, good quality mattresses are supposed to last a long time, but eight years should be the maximum. However, even if yours are older than that, there are a few things that you can do to revamp them and give them a new lease of life. Buy mattress covers. These are great for mattresses that need to be revamped some. Make sure you get the breathable ones so that they can make for a comfortable sleep at night for your guests. It is also time to find out what needs to be cleaned. Take the beddings out of the closet and check them out. Check the guest rooms for clutter and get it all out. If the curtains need some dusting, you should do it. We all know that bathrooms are really the must-visit areas for any guest. They can also put you to shame badly if you do not take good care of them. Thankfully, bathrooms are easy to clean, especially if you have been keeping them clean all along rather than waiting for dirt to accumulate. This is the time to look at the space under the sinks and to clean the area behind the toilet keenly. Just remember how mindful you are of the toilets’ cleanliness when you go visiting a friend. It is the same way that your guests will be mindful about when they visit your home. This is where you will be making all the food, so it had better look and feel clean. It is time to give the kitchen a thorough cleaning, remove everything from the cabinets, and give them a serious dusting. You will also have to clean under the kitchen counter. Because of the moist condition of the kitchen, bacteria and germs tend to thrive. That is why you need to set aside some serious cleaning time. Give the lights and fixtures a thorough checkup to ensure that everything is working just fine. If there are any hanging lights, dust the fixtures because they are forgotten many of the times. If there are areas that are not in great shape and you would not like your guests to do them, draw the attention from them. You can do this by lighting candles in areas with paintings so that all attention is drawn there. Fine dust is notorious for collecting on your electronics, furniture, lighting fixtures, side tables, and coffee tables. Dust them up. Dust every other space that you cannot clean with water. Work on the cleaning systematically, starting from one room and proceeding to the other only after completion. It is possible to have a sparkling clean house. On the exterior, trim any excesses off shrubs, mow the lawn and sweep the driveway. Misty Jhones is a health writer from California City. After passing out her graduation from University of California, she started writing about Health and Fitness issues to help others to live a healthy life. I love to obscure the nutritional goods. On any busy day, you’ll find her writing about different health issues like; Weight Loss, Diet, Healthy Food, Skin Care, Women Beauty, Pregnancy and other Men and Women Health issues.